Is Fukushima twice as bad, or four times as bad, as Chernobyl? I've found two sure-fire ways to lose my Japanese Twitter followers. First is to tweet something critical of the current US president whatever the topic is, and second is to tweet something that doubts the orthodoxy commonly held almost as a sacred truth by people who are extremely afraid of radiation exposure (or so they say, while many continue to live and eat as before). This one is the latter. And the particular orthodoxy is: "The amount of radioactive materials released by the Fukushima I Nuclear Power Plant accident is several times larger than the amount released by the Chernobyl nuclear accident." I've seen tweets saying "four times", and a more modest "twice as much". I was at a loss for a moment as to where this person got this idea, so I googled the part of her tweet about the amount of radioactive materials. Up came a number of links　that tried to figure out what this grave-sounding news was about, that radioactive materials released from Fukushima were several times greater than those released from Chernobyl. The date of these links were mostly May 2012. I followed one link, and the linked page mentioned a Yomiuri English article. Then I suddenly remembered. Of course. Number in iodine equivalence, cesium-137 times 40, to compare in the INES event scale. Tokyo Electric Power Co. has estimated the total amount of radioactive substances discharged from its Fukushima No. 1 nuclear power plant measured 760,000 terabecquerels in iodine equivalence [this was missing in the original version], 1.6 times the estimate released by the Economy, Trade and Industry Ministry's Nuclear and Industrial Safety Agency in February. The version that did not have "iodine equivalence" was then quoted by ENENEWS on May 24, 2012, and RT put out an article the same day with the headline "Cesium-137 contamination: Fukushima amounts to four Chernobyls". Some Japanese people then translated these two articles and a host of other English articles based on these two back into Japanese, and wrote in blogs, tweets "See, Fukushima is 4 times worse than Chernobyl! English language news says so! TEPCO is lying, the Japanese government is lying!" Yomiuri English corrected the mistake after I wrote to them a few days after the original article was published, but the damage was done by then. (Unlike Mainichi English, Yomiuri English actually responded to my email and corrected the article.) But many people in Japan, like the person who tweeted above, continue to believe in the "Japanse translation" of the English articles based on a faulty Yomiuri English article based on Yomiuri's Japanese article based on TEPCO's press release. After nearly two years, this, "Fukushima is 4 times as bad as Chernobyl", remains a basis of people's knowledge of the accident. Yomiuri English incorrectly says Fukushima released 760,000 terabecquerels in iodine equivalence, TEPCO says 900,000 terabecquerels in iodine equivalence. Without converting cesium-137 to iodine equivalent, Fukushima released 10,000 terabequerels of cesium-137, Chernobyl released 85,000 terabecquerels. Like I said, if anything, the Fukushima I Nuclear Power Plant accident HAS ENCOURAGED developing nations to embark on the construction of new nuclear power plants. Here's Iran, wanting 16 new plants across the country. Iran's Bushehr nuclear facility sits on an active fault. But so what, just look at Japan. The entire country is effectively one big active fault and they have 50 nuclear reactors. They used to have 54, and 4 will be decommissioned after 3 of them had core meltdowns. No big deal, isn't it? TEHRAN — Iran has selected 16 locations for the construction of nuclear power plants as part of a plan to generate 20,000 megawatts of electricity at multiple sites over the next 15 years. Iranian state TV said Saturday that experts at the Atomic Energy Organization of Iran had finished studies to select the best locations across the country. It added that sites were chosen in part for their resistance to earthquakes and military airstrikes. The Islamic Republic claims it needs 20 large-scale plants to meet its growing electricity needs over the next one-and-a-half decades. State TV also said on Saturday that Iran had discovered new uranium resources in the country that will put its reserves at 4,400 tons compared to 1,527 tons three decades ago. Iran’s chief nuclear negotiator struck a belligerent tone just three days ahead of talks with world powers in Kazakhstan, saying that the Islamic Republic had fulfilled all of its obligations under the Nuclear Non-Proliferation Treaty. “We will not accept anything beyond our obligations and will not accept anything less than our rights,” Saeed Jalili told nuclear industry officials in Tehran on Saturday. “Iran has fulfilled its NPT obligations as an active and committed member, therefore it should gain all of its rights,” he added in remarks quoted by the Iranian Students’ News Agency. The Atomic Energy Organization of Iran (AEOI) announces that the Islamic Republic has designated 16 nuclear power sites. “Following months of efforts, 16 new sites for nuclear power plants have been designated in coastal areas of the Caspian Sea, the Persian Gulf, the Sea of Oman, [southwestern province of] Khuzestan and northwestern part of the country,” the AEOI said on Saturday. It added the projects are in line with Iran’s long-term plans to develop electricity generation via nuclear power plants and in accordance with standard and international regulations. The organization also said that Iran has discovered more uranium deposits to further improve its position among countries possessing nuclear technology. Following the new discoveries over the past 1.5 years, the country’s mineral reserves and resources have increased 4.5 times compared to 35 years ago. Iran says all activities by its nuclear experts are aimed at defending the Iranian nation. The AEOI homepage says "Nuclear Energy a Symbol of Pride for Nation". Japan was like that in 1960s, as reactors were being built in Fukushima. Good old days. Governor Jay Inslee had said a week ago that one tank was found leaking (see my 2/16/2013 post). Now it turns out there are six tanks leaking extremely toxic liquid, but they don't know which six, out of 177 tanks. Six underground tanks that hold a brew of radioactive and toxic waste at the nation's most contaminated nuclear site are leaking, Washington Gov. Jay Inslee announced Friday. The leaking tanks strike another blow to federal efforts to clean up south-central Washington's Hanford nuclear reservation, where any successes often are overshadowed by delays, budget overruns and technological challenges. State officials just last week announced that one of Hanford's 177 underground tanks was leaking in the range of 150 to 300 gallons a year, posing a risk to groundwater and rivers. So far, nearby wells haven't detected higher radioactivity levels. Inslee traveled to Washington, D.C., this week to discuss the problem with federal officials. He said Friday he learned during meetings that six tanks are leaking waste. "We received very disturbing news today," the governor said. "I think that we are going to have a course of new action and that will be vigorously pursued in the next several weeks." Inslee noted there are legal and ethical considerations to cleaning up the Hanford site, both at the state and national level. He also stressed the state would impose a "zero-tolerance" policy on leaking radioactive waste into the soil and insisted that the Department of Energy fully clean up the site. The tanks already are long past their intended 20-year life span. They hold millions of gallons of a highly radioactive stew left from decades of plutonium production for nuclear weapons. The leaking tanks were missed because graphs that monitor the waste levels were evaluated only over a short period, rather than a longer period that might have shown the levels changing, Inslee said. "It's like if you're trying to determine if climate change is happening, only looking at the data for today," he said. "Perhaps human error, the protocol did not call for it. But that's not the most important thing at the moment. The important thing now is to find and address the leakers." The federal government created Hanford in the 1940s as part of the top-secret Manhattan Project to build the atomic bomb. The government spends $2 billion each year on Hanford cleanup -- one-third of its entire budget for nuclear cleanup nationally. The cleanup is expected to last decades. Central to the effort is the construction of a plant to convert millions of gallons of waste into glasslike logs for safe, secure storage. The $12.3 billion plant is billions of dollars over budget and behind schedule. Inslee and Oregon Gov. John Kitzhaber have championed building additional tanks to ensure safe storage of the waste until the plant is completed. Democratic Sen. Ron Wyden of Oregon said earlier this week that he shares their concerns about the integrity of the tanks, but that he wants more scientific information to determine it's the correct way to spend scarce money. Wyden noted the nation's most contaminated nuclear site -- and the challenges associated with ridding it of its toxic legacy -- will be a subject of upcoming hearings and a higher priority in Washington, D.C. The tanks are leaking due to poor tank integrity – the waste is corroding the carbon steel lining. When the tanks were built during the World War II, a shortage of stainless steel necessitated the use of cheaper, less robust carbon steel – this practice continued long after stainless steel was again available. Carbon steel corrodes in highly acidic environments like those in Hanford’s tanks, so large amounts of other chemicals were added to neutralize the pH in the tanks, minimizing the corrosion problem but making the waste very difficult to stabilize. The tanks were built to last 20 years. They were never designed to permanently store high-level radioactive waste. Most of these tanks, 149 of them, are single-shelled and built between 1943 and 1964. These have far exceeded this 20-year projection. It is no surprise that they are failing. The double-shell tanks, 28 of them, are double-shelled, built between 1977 and 1986. The double shell tanks are more robust, but are also made of carbon steel. To date, none of the double-shell tanks have leaked, but a more secure solution is needed to contain this waste and prevent even more waste from leaking into the groundwater. I'll go find out what kind of containers used in AREVA's decontamination system (which has been shut down for more than a year now), Kurion's cesium absorption system (also shut down), and Toshiba's SARRY (in operation) at Fukushima I Nuclear Power Plant. Uh... They put the sediment sample in a plastic bottle? According to TEPCO, the plastic bottle is emitting 4 millisieverts/hour radiation with the sediment in it. 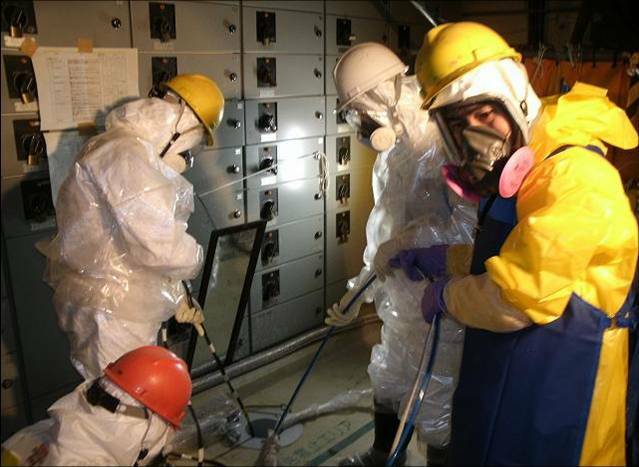 Workers in full gear collecting samples through the hole on the first floor of the Reactor 1 building, where the air radiation dose ranges from 2 to 10 millisieverts/hour. It took 20 workers 2 hours and 35 minutes to complete the task, for which they received 1.46 millisievert (maximum) of radiation exposure. As the new LDP administration under Shinzo Abe is very eager to be done with the Fukushima nuclear accident by urging TEPCO to do the decommissioning work way ahead of schedule (which is not feasible even its current form), TEPCO dutifully follows the government prompting (which is tantamount to an order without saying it is an order). The effort to do things ahead of schedule, or to catch up on the behind-schedule work, has already resulted in dropping a fuel transfer machine part into the Spent Fuel Pool in Reactor 3 as the workers carried out the work in heavy snow. 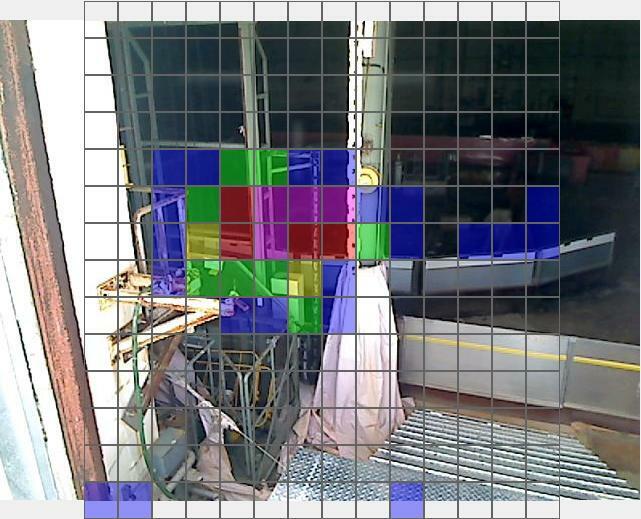 Now, TEPCO just did the gamma-ray imaging of the Reactor 2 operating floor. Although the Reactor 2 building looks intact except for the open blowout panel, the radiation levels on the operating floor is just too high for the carbon-based or silicon-based workers. The lowest level is 40 millisieverts/hour, the highest 880 millisieverts/hour right above the reactor well, as mapped by the robot Quince No.2 in June last year. What TEPCO did therefore was to build a platform on top of the turbine building to the height of the blowout panel, and lifted up the gamma camera onto the platform using a crane. TEPCO says the analysis will take about a month. According to the handout that accompanies the photo, TEPCO plans to "decontaminate" the floor whose air radiation doses are as high as 880 millisieverts/hour in order to remove fuel assemblies from the Spent Fuel Pool in the "future". 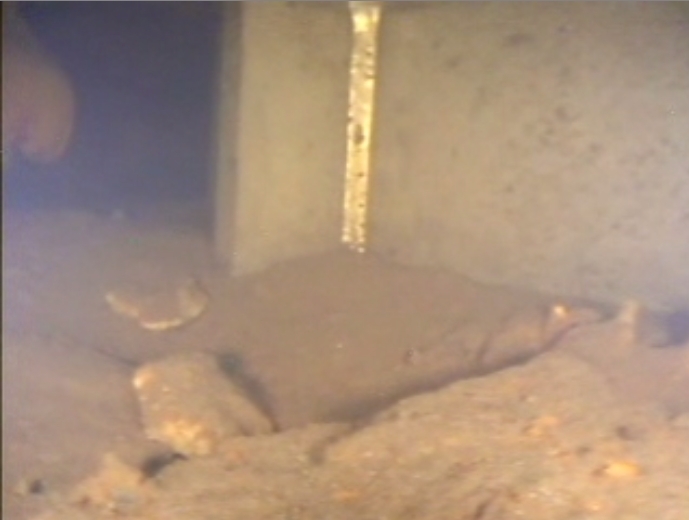 At a much lower air dose level of about 10 millisieverts/hour, Quince No.1 robot has been stranded on the 3rd floor of Reactor 2 since October 2011. I have no idea how "decontamination" is possible. According to a Kochi resident (and nuclear scientist) whom I follow on Twitter, Kochi has been known to build absolutely worthless systems like some IT system incompatible with any system outside the prefecture that ended up as a costly, outdated LAN not even used inside Kochi Prefecture. Kochi Prefecture, and particularly Muroto City, where this so-called shelter will be built, is regularly hit hard by typhoons. Kochi Prefecture is located in Shikoku, and is facing the Pacific Ocean. This is plain idiocy, and therefore it will be generously funded by the national government as the Kochi governor is requesting. Just like so-called decontamination project, just like so-called wide-area disposal of disaster debris. Kochi Prefecture is expected to be hit with a tsunami from Nankai Trough Quake as high as 34 meters (112 feet). The prefectural government decided on the plan on February 14 build the first tsunami shelter in a cliff on the coast of Muroto City. The candidate location is in Tsuro District of Sakihama-cho in Muroto City in the eastern Kochi. The houses are buuit close to the ocean, and the cliff is right behind the houses. There is no appropriate place to build a "shelter tower". The prefectural government will submit 60 million yen (about US$644,000) in the fiscal 2013 budget plan for design and geological survey. A tunnel with the diameter of 3 meters will be dug into the cliff in the district. The entrance to the tunnel will have double-door that will stop the sea water. In the back, a vertical shaft will be dug, so that the evacuees are able to escape to the mountain top several tens of meters higher. According to the Kochi resident above, there was no vertical shaft in the original plan. He suspects that was added as an excuse after the initial idea was ridiculed. The Kochi government thinks elderly residents (over 40% of this particular district) can climb up a spiral staircase for the height of a 10-story building. 24 hours? One day? Don't they know that a help didn't come to many of the disaster affected areas after March 11, 2011? It took days. In many locations, it never came. Nankai Trough Quake is estimated to be Magnitude 9.1. And they think sheltering residents for 24 hours is enough. So what are other obvious problems? They think they can close the double door and the tsunami won't come in. Fine. Why do they think it can open again? Tsunami debris anyone? Why do they assume the vertical shaft would remain intact after a mega earthquake like the one they are anticipating? For that matter, why do they assume the cliff will survive the quake and tsunami? Water-tight means air-tight. Any plans for oxygen tanks? Who is going to close the double door, when, no doubt, there are still people trying to get in? More than anything, the human instinct when a tsunami is coming is to run to the higher ground. That's the only thing that worked in March 11, 2011 tsunami. There were stories of farmers and fishermen in their 80s who ran so fast that they were amazed at themselves. Instead, the Kochi government wants the residents to go underground, to a location practically on the sea level. It is not just human instinct. When the 2004 Sumatra–Andaman earthquake hit, animals headed uphill. Humans who followed the animals survived the tsunami. The idiotic governor who came up with this brilliant idea is Mr. Masanao Ozaki, another Tokyo university graduate and former career bureaucrat from the central government, from the Finance Ministry. A 45-year-old punk who won the second term of governorship in November 2011 because there was no other candidate. Well, the above Kochi resident says Kochi people deserve what they will get, for having selected this guy by default. 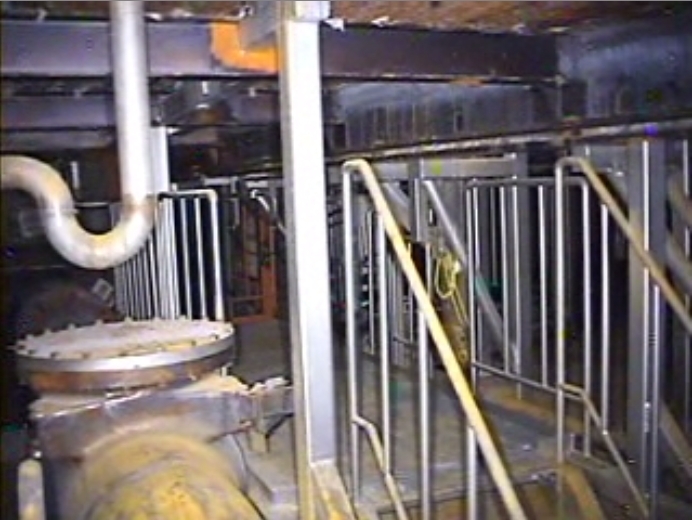 Workers lowered the video camera, thermometer, and dosimeter through the hole on the first floor of Reactor 1 building in the 2 to 10 millisieverts/hour environment. Water is murky, 4.9-meter deep from the torus room floor. 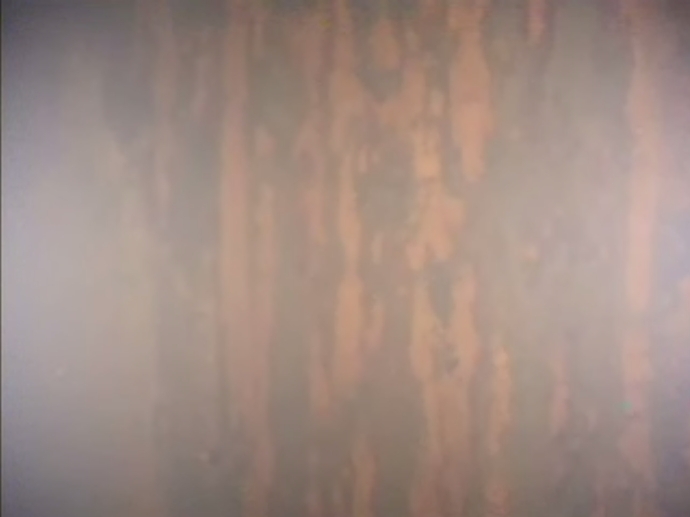 TEPCO said in the 2/20/2013 handout (in Japanese; there is no English handout) that visibility was about 60 centimeters. It is stating the obvious, but it nonetheless did not occurred to me until I read the comment from the blog reader Atomfritz - that the Reactor 1's Suppression Chamber is also broken. （UPDATE) Video and photos in the latest post. After successfully drilling a hole through the 1st floor of Reactor 1 building and finding no obstruction, TEPCO sent workers to lower the camera, thermometer, and dosimeter through the hole into the torus room in the basement. The highest radiation dose was right above the water, at 920 millisieverts/hour. It took 20 workers 2 hours and 25 minutes to do the first day of work, with maximum radiation exposure of 1.78 millisievert. From TEPCO's February 14, 2013 handout (see my post), the air radiation level at the hole on the first floor of the reactor building is 10 millisieverts/hour, and at 1.2 meter above the hole it is 2 millisieverts/hour. North Korea Threatens South Korea with "Final Destruction" in the UN Disarmament Conference, US Ambassador Tweets "Offensive"
North Korea has been doing its best to get the attention of the US, and the US just yawns. The US Ambassador to the Conference on Disarmament Laura Kennedy tweeted the threat was "offensive". North Korea threatens South with "final destruction"
(Reuters) - North Korea threatened South Korea with "final destruction" during a debate at the United Nations Conference on Disarmament on Tuesday, saying it could take further steps after a nuclear test last week. "As the saying goes, a new-born puppy knows no fear of a tiger. South Korea's erratic behavior would only herald its final destruction," North Korean diplomat Jon Yong Ryong told the meeting. Jon's comments drew quick criticism from other nations, including South Korea, France, Germany and Britain, whose ambassador Joanne Adamson said such language was "completely inappropriate" and the discussion with North Korea was heading in the wrong direction. "It cannot be allowed that we have expressions which refer to the possible destruction of U.N. member states," she said. Spanish Ambassador Javier Gil Catalina said the comment left him stupefied and appeared to be a breach of international law. "In the 30 years of my career I've never heard anything like it and it seems to me that we are not speaking about something that is even admissible, we are speaking about a threat of the use of force that is prohibited by Article 2.4 of the United Nations charter," Catalina said. Since the North tested a nuclear bomb last week in defiance of U.N. resolutions, its southern neighbor has warned it could strike the isolated state if it believed an attack was imminent. Pyongyang said the aim of the test was to bolster its defenses given the hostility of the United States, which has led a push to impose sanctions on North Korea. "Our current nuclear test is the primary countermeasure taken by the DPRK in which it exercised its maximum self-restraint," said the North Korean diplomat Jon. "If the U.S. takes a hostile approach toward the DPRK to the last, rendering the situation complicated, it (North Korea) will be left with no option but to take the second and third stronger steps in succession," he said, without indicating what that might entail. North Korea has already told key ally China that it is prepared to stage one or two more tests this year to force the United States into diplomatic talks, a source with direct knowledge of the message told Reuters last week. U.S. Ambassador Laura Kennedy said she found North Korea's threat on Tuesday profoundly disturbing and later tweeted that it was "offensive". Poland's representative suggested North Korea's participation in the U.N. forum should be limited. Impoverished and malnourished North Korea is one of the most heavily sanctioned states in the world. It is still technically at war with South Korea after a 1950-53 civil war ended in a mere truce. Washington and its allies are believed to be pushing to tighten the noose around North Korea's financial transactions in a bid to starve its leadership of funding. Jon said last week's test was an act of self-defense against nuclear blackmail by the United States, which wanted to block North Korea's economic development and its fundamental rights. "It is the disposition and firm will of the army and people of the DPRK to counter high-handed policy with tough-fist policy and to react to pressure and sanctions with an all-out counter-action," he said. Jon said the United States had conducted most of the nuclear tests and satellite launches in history, and he described its pursuit of U.N. Security Council resolutions against North Korea as "a breach of international law and the height of double standards". Neither Russia nor China, which are veto-wielding members of the U.N. Security Council, spoke at Tuesday's meeting in Geneva. Before its nuclear test, North Korea was already facing growing diplomatic pressure at the United Nations. The U.N. Human Rights Council is widely expected to order an inquiry next month into its leaders' responsibilities for crimes against humanity. Bernard Vaussion, Head Chef of the Elysee Palace in France, and Christian Garcia, Chef of the Prince of Monaco, held a press conference at Japan Press Club in Tokyo after having visited the disaster-affected areas in Tohoku. Mr. Garcia said, "Foodstuffs from Tohoku are extremely wonderful. I will do whatever I can do but I would like people in Japan to do their best to support." Mr. Vaussion visited Aizuwakamatsu City in Fukushima Prefecture from February 14 to 16, while Mr. Garcia visited Kesennuma City in Miyagi Prefecture during the same period. Of people in the disaster-affected areas, Mr. Garcia said, "I was very moved that people were determined to make a fresh start." The two chefs were invited by Palace Hotel Tokyo as part of Japan's on-going effort to assist the recovery of Tohoku from the March 11, 2011 disaster (yes, the same old, the same old). They served up their dishes at a gala dinner event on February 19 at Palace Hotel　Tokyo in Marunouchi, according to the web magazine Openers. According to the Palace Hotel Tokyo flier, the dinner was 40,000 yen per person (US$428; 321 euro), and the event was organized by NHK Enterprises. The trip to Tohoku was for the chefs to source foodstuffs to use in the gala dinner. There is no indication in the article that the chefs were made aware of the radiation contamination in Tohoku, particularly in Fukushima, Miyagi and Iwate. Whether that would have mattered or not, I do not know. By the way, the EU has lifted the ban on Japanese beef. Yomiuri article (2/8/2013) says Japan has been demanding the EU lift the ban since 2005. Nice timing, EU. US retailers and restaurants chains that employ millions of low-wage workers are considering cutting working hours or paying fines rather than enrolling employees in health insurance plans under Barack Obama’s landmark healthcare law. Employers are concerned that the law increases the cost of insuring employees on existing plans, partly by broadening the range of benefits. It also requires companies to insure some employees not previously covered. David Dillon, chief executive of the Kroger supermarket chain, told the Financial Times that some companies might opt to pay a government-mandated penalty for not providing insurance because it was cheaper than the cost of coverage. Nigel Travis, head of Dunkin’ Brands, said his doughnut chain was lobbying to change the definition of “full-time” employees eligible for coverage from those working at least 30 hours a week to 40 hours a week. Some restaurants, including Wendy’s and Taco Bell franchises, have explored slashing worker hours so fewer employees qualify for health insurance, arguing that they cannot afford the additional healthcare costs. Other businesses are deliberately keeping headcounts below 50. ...“If you look through the economics of the penalty the companies pay versus the cost to provide coverage, the penalty’s too low, or the cost of coverage is too high, or the combination is wrong,” he said. The penalty for not providing coverage is $2,000 per worker. According to the Kaiser Family Foundation, a non-partisan policy group, the average annual cost to employers of insurance is $4,664 for a single worker and $11,429 for a family. 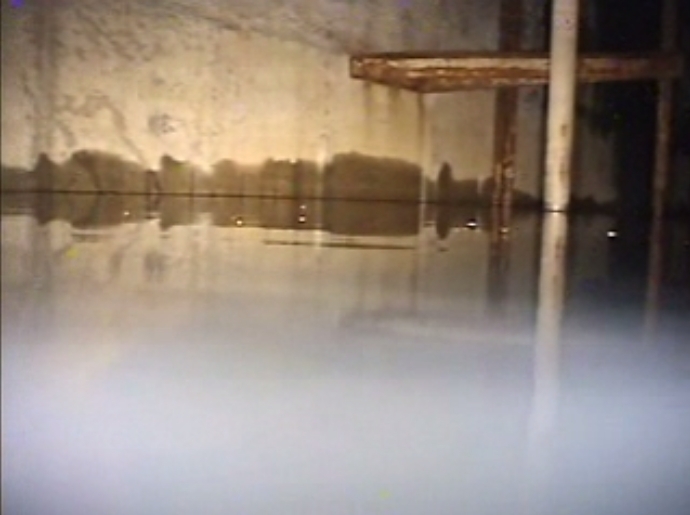 The water was from Reactor 6 turbine building basement - underground water seeping into the turbine building. The contamination level is low, according to TEPCO's handout on February 18, 2013. After desalination treatment, this water is being sprinkled throughout the compound. 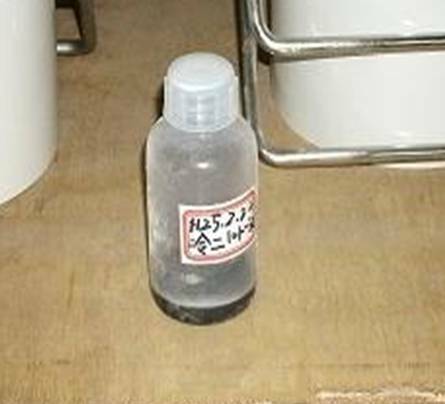 It's also the same water that Goshi Hosono's sidekick drank, back in October 2011, to prove how safe it was. A small photo that the workers took of the water intake tower shows tubes and pipes reinforced by what looks like duct tape. The location of the leak is circled in red. Global finance chiefs signaled Japan has scope to keep stimulating its stagnant economy as long as policy makers cease publicly advocating a sliding yen. The message was delivered at weekend talks of finance ministers and central bankers from the Group of 20 in Moscow. While they pledged not “to target our exchange rates for competitive purposes,” Japan wasn’t singled out for allowing the yen to drop and won backing for its push to beat deflation. The G-20’s harder line on exchange rates was adopted after the yen’s 7 percent slide against the dollar this year raised concern Japan is starting a currency war, in which countries seek to protect exports through devaluation. The agreement, hashed out at all-night talks beside the Kremlin, now leaves Japan free to try to revive its economy while putting pressure on officials to avoid explicitly targeting a cheaper yen. That probably means the Japanese currency will continue depreciating in the near term below the 93.50 per dollar it reached at the end of last week, said Jan Dehn, London-based co- head of research at Ashmore Investment Management Ltd., which manages $71 billion. The yen has fallen as Prime Minister Shinzo Abe campaigned for looser monetary policy to revive an economy plagued by 15 years of deflation and three recessions in the past five years. Gross domestic product shrank an annualized 0.4 percent in the last quarter, the Cabinet Office in Tokyo said on Feb. 14. Since Abe won elections in December, the Bank of Japan has agreed to a 2 percent inflation target and to make open-ended asset purchases from 2014. The prime minister has to announce his nominees for a new central bank governor and deputies by March 9, Deputy Chief Cabinet Secretary Hiroshige Seko said on public broadcaster NHK yesterday. And who will be the most likely candidate for the Bank of Japan governorship? A career bureaucrat from the Finance Ministry. Some central bank independence.